ESO has signed an agreement with an international consortium led by INAF, the Italian National Institute for Astrophysics, to build and operate a cutting-edge spectrographic instrument known as Son Of X-shooter, SOXS . 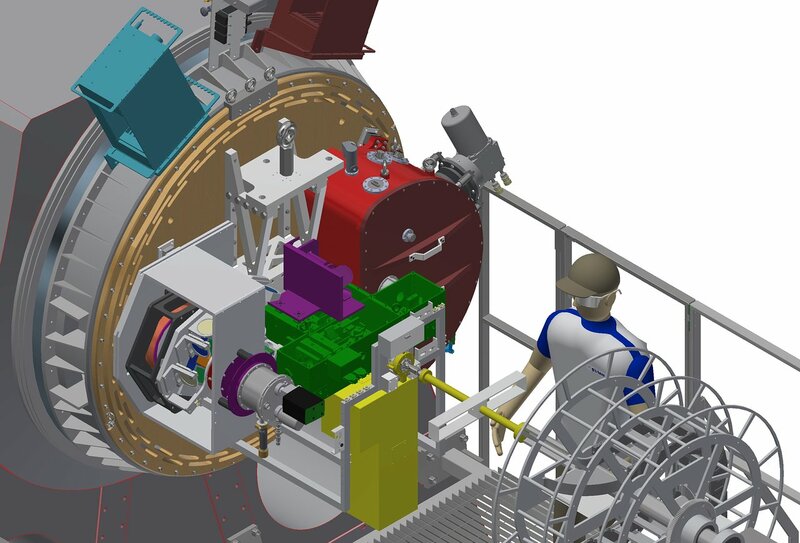 Work on this innovative instrument’s design has been underway since 2017, meaning that SOXS could be installed at La Silla as early as 2020. 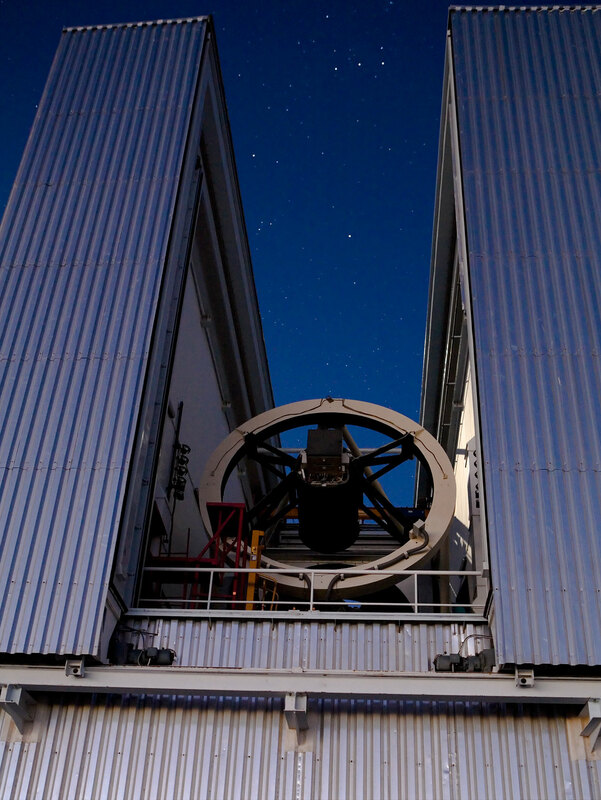 SOXS will be installed on ESO’s 3.58-metre New Technology Telescope (NTT) at the La Silla Observatory in Chile, replacing SOFI, a venerable and highly productive ESO instrument that has been operating for over 20 years. Designed as a unique spectroscopic facility, SOXS will study transient sources following triggers and alerts from telescopes, satellites, and detectors worldwide. SOXS will provide vital spectroscopic follow-up observations to many transient surveys, and is poised to become the foremost transient follow-up instrument in the Southern hemisphere. The novel, highly specialized design of the instrument will ensure that it will have almost the same sensitivity as its progenitor, X-shooter, despite being installed on a much smaller telescope. Transients are astronomical events that — as the name suggests — are only visible for a short period of time. This includes some of the most fascinating astrophysical phenomena, such as supernovae and bursts of gravitational waves. It is critical that these triggers are followed up within hours, if not minutes, by dedicated spectroscopic facilities such as SOXS. Transients are being discovered at an impressive rate that will only be increased by future survey telescopes, making the combination of SOXS and the NTT a much-needed astronomical tool for capturing these fleeting events in wavelengths ranging from ultraviolet to the near-infrared. From its new home on the NTT at the La Silla Observatory, SOXS will follow up a variety of astronomical transients at all distance scales and from all branches of astronomy. Its targets will include fast alerts from space telescopes (such as gamma-ray bursts) or gravitational wave detectors, mid-term alerts (such as supernovae and X-ray transients), long-term monitoring of variable sources (such as blazars, and cataclysmic binaries), transit spectroscopy of extrasolar planets or one-off events like the close passage of newly discovered minor bodies. As well as its impressive ability to study transients, SOXS will also be able to carry out routine observations of objects which are simply too bright for other instruments like X-shooter to observe. SOXS is expected to see first light in 2020 and to start operating in 2021. The contract foresees 5 years of operation with a possible extension of another 5 years. 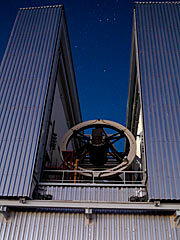 SOXS (Son of X-shooter) is a development of the X-Shooter instrument installed on the VLT. The SOXS consortium consists of: INAF (Italy), the Weizmann Institute of Science (Israel), Universidad Andrés Bello & Millennium Institute of Astrophysics (Chile), University of Turku & FINCA (Finland), Queen’s University Belfast (UK), Tel Aviv University (Israel), and the Niels Bohr Institute (Denmark).